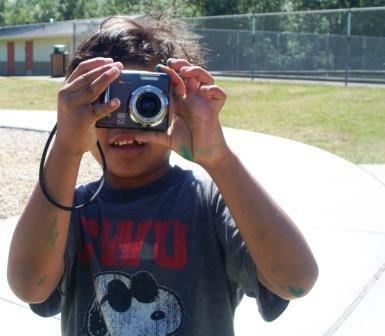 The Tech Wizards club is an innovative program occurring at two after school sites in Tacoma. 4-H encourages youth in our community to take an interest in science education and develop a passion for important issues facing our nation today. Tech Wizards is also a mentoring program and members from the community will support youth in creating and reaching their goals. Mentors encourage youth to talk about their experiences and support them by asking questions to learn more about what they are doing. The clubs meet weekly for the school year. Check the locations and schedule below if you’d like to be a mentor. Call 253-798-3223 or email 4h.techwizards@wsu.edu if you’d like more information on how to be a mentor! During the Tech Wizards club, youth have the opportunity to participate in a variety of activities that may include photography, video making and editing, wind power and engineering, digital storytelling, robotics, and power point presentations. Through these activities, there will be a focus on youth learning and practicing the life skills of communication, decision making and self-responsibility. The program encourages youth to graduate high school and explore college and careers in technology, math and science.